Navan works in our Atlanta, Georgia, office and handles hip replacement cases. Navan is a principal at Beasley Allen Law Firm. He is the firm’s lead attorney on the metal-on-metal hip implant litigation, and practices from the Atlanta office. Navan is licensed to practice in Alabama, Mississippi, Tennessee and New York. Navan’s hip implant litigation involves victims who have defective hip implants causing severe pain, metal poisoning, revision surgery, and in some cases, permanent injury. These defective hip devices are manufactured by various companies, such as Johnson & Johnson and DePuy Orthopedics, among others. Navan was selected to a team of lead lawyers, called the Plaintiffs Steering Committee (PSC), for the DePuy “ASR” Hip Implant Recall Multi-District Litigation (MDL). Navan also was appointed as co-lead counsel for the Plaintiffs Executive Committee in the Biomet M2a Magnum Hip Implant Products Liability MDL. He has been instrumental in assisting with the recent verdicts and global settlements against major hip implant manufacturers, including Johnson & Johnson / DePuy for $4.057 billion, Howmedica Osteonics Corporation / Stryker for over $1 billion, and Biomet Corporation for more than $250 million, as well as additional confidential settlements involving other metal-on-metal and/or modular-neck hip components. Navan was also heavily involved with the hormone replacement therapy litigation, representing hundreds of women who were diagnosed with breast cancer as a result of ingesting these combination hormone medications. His trial team was responsible for obtaining a $72.6 million verdict for three hormone therapy clients that went to trial in Philadelphia, Pennsylvania. Upon arrival at Beasley Allen, Navan was responsible for overseeing the Meridia pharmaceutical drug litigation, a medication that caused heart attacks and strokes, as part of the Mass Torts Section. Navan then moved to the Personal Injury Section, where he mostly litigated nursing home neglect and abuse, as well as wrongful death trucking cases in Mississippi, Tennessee, Alabama and Georgia. Navan has litigated cases where the nursing home resident suffered from injuries such as multiple falls, bedsores, malnutrition, dehydration, aspiration pneumonia and sepsis/infections. He has been successful in obtaining verdicts and/or settlements in excess of $3 million for his nursing home and wrongful death trucking clients. Navan returned to the Mass Torts Section and was heavily involved with the Cox-2 (Vioxx, Celebrex and Bextra) pharmaceutical drug litigation. These drugs were used for the treatment of arthritis, but caused heart attacks, strokes and serious skin reactions. Specifically, he was the firm’s lead attorney for the Celebrex and Bextra pharmaceutical litigation. Navan was one of the leaders in the Bextra/Celebrex Multidistrict Litigation, serving on both the Science and Discovery committees. Additionally, Navan was responsible for overseeing the Permax and Dostinex pharmaceutical drug litigation. These drugs were used for the treatment of Parkinson’s disease but caused damage to the users’ heart valves. Overall, Navan has obtained more than $360 million for the specific clients that he has represented in the various areas he has practiced. Navan has earned a Martindale Hubbell AV Preeminent Rating. In 2017, he was awarded the American Association for Justice’s (AAJ) Minority Caucus Stalwart Award for his dedicated years of service to the organization. The same year, Navan was selected to the 2018 edition of the Best Lawyers in America list. He has also been named to the Super Lawyers list annually since 2017. Navan also received the AAJ Distinguished Service Award in 2012, and again in 2015. In 2014, Navan was the recipient of the AAJ’s Wiedemann & Wysocki Award. In 2013, he was selected as Beasley Allen’s Litigator of the Year. In 2011 and 2014, Navan was named Beasley Allen’s Mass Torts Section Lawyer of the Year. Navan serves in leadership positions for various legal organizations. Currently, Navan serves as the secretary of the American Association for Justice, which is formerly known as American Trial Lawyers Association. This is Navan’s third consecutive year serving on the Executive Committee. He has also served as a past chairman of the Minority Caucus, past chairman of the Diversity Committee and a member of the Board of Governors. In addition, Navan is an American Bar Association (ABA) member, serving as a former Alabama State Bar delegate for the ABA. He is a past president of the Alabama Lawyers Association, the Alabama State Bar’s Young Lawyers Section, and the Montgomery County Association for Justice. Navan also was a member of Leadership Montgomery’s Class XXI, a former chairman of the Father Walters Charity Golf Tournament, and a member of the Alabama Law Foundation Grant Committee. Navan has given several presentations concerning Talcum Powder litigation, the Johnson & Johnson / DePuy hip implant recall, Stryker modular-neck hip implant recall, defective metal-on-metal hip implants, hormone replacement therapy litigation, Cox-2 drug litigation, Permax/Dostinex litigation and nursing home litigation, as well as various other practice skills presentations throughout the country. Before he arrived at Beasley Allen, Navan had experience working for an insurance defense firm and an employment law firm. He was involved in cases dealing with medical malpractice, auto accidents, contractor liability, race discrimination and sexual harassment in the workplace. Navan is married to the former Bridget L. Maynor, of Irondale, Alabama, and they have twin sons, Roman and Jaxon. Navan’s childhood church Northview Christian Church – Atlanta South. Shareholders Kendall Dunson and Navan Ward, Jr., were selected as the firm’s Litigators of the Year. In this presentation Navan Ward discusses external and internal means of case acquisition. 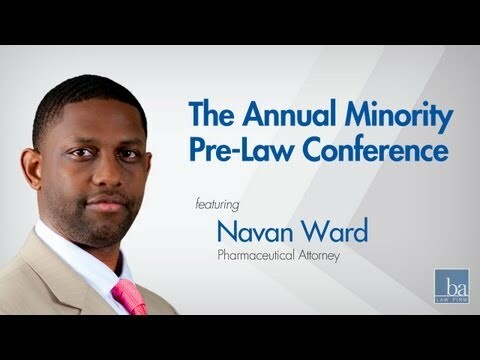 [PowerPoint] Update on Hormone Replacement Therapy Litigation by Navan Ward Jr.